No other site represents France quite like Notre-Dame. It has given its name to one of the country’s literary masterpieces. Victor Hugo’s novel Hunchback of Notre-Dame is known to the French simply as Notre Dame de Paris. Like all cherished places everywhere, it is not one residents visit very often. In the three decades I spent in my native city, I can’t have been inside Notre-Dame more than three or four times – and then only with foreign visitors. There are many of those. The cathedral is not just the most popular tourist site in Western Europe. Eight centuries after its completion, it is also still a place of worship – about 2,000 services are held there every year. But it is also much more than a religious site. President Emmanuel Macron has expressed the shock of a “whole nation” at the fire. 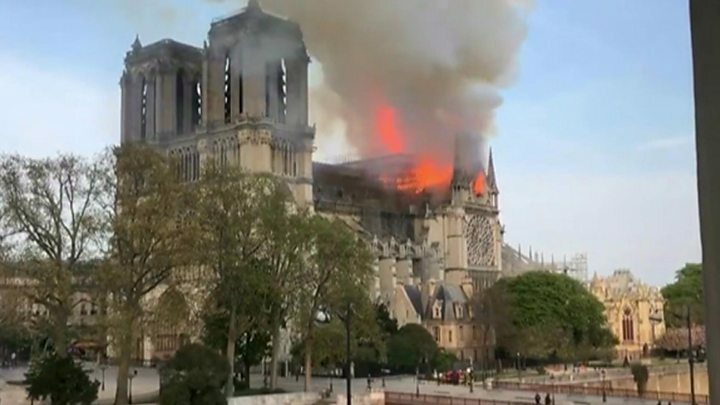 As Paris Mayor Anne Hidalgo said, Notre Dame is “part of our common heritage”.